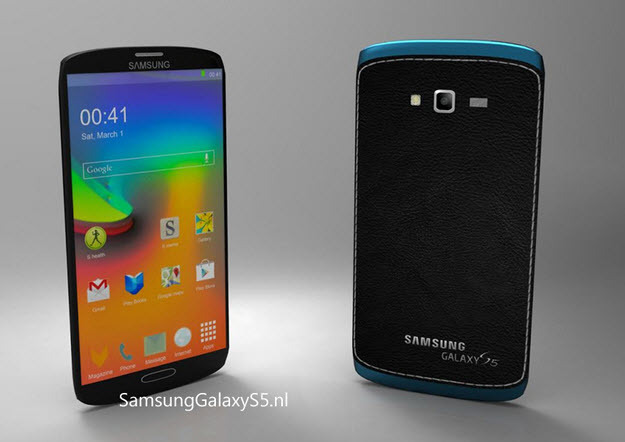 Much like Samsung’s previous Galaxy S or Galaxy Note series, it seems that the Galaxy S5 will have two versions; one with Samsung’s own Exynos processor and one using Qualcomm’s Snapdragon series. In the past the versions using Samsung’s Exynos processor have traditionally lacked LTE modems, and the Qualcomm variants subsequently feature an LTE modem on board. We’ve seen recently that Samsung wants to move away from this dual-model process and use more in-house chips, but it seems that the Galaxy S5 won’t be their first flagship to follow that model. Outside of the rest of the specs being fairly rudimentary and standard for a top-tier smartphone nowadays, the camera and fingerprint scanner are among the most interesting parts of KGI’s speculation list. We’ve seen a number of rumors detailing Samsung’s supposed implementation of an iris scanner in the Galaxy S5, but not as many talking about a fingerprint scanner. While a fingerprint scanner wouldn’t be odd to see given that Apple has given the go-ahead in the iPhone 5S, it would be disappointing to see Samsung just follow Apple’s lead instead of forging their own territory here. Next up is the camera, which is probably the most important part of the phone for a number of people out there. Samsung has always pushed their cameras further and further in terms of being more technically sufficient, but the overall quality hasn’t necessarily improved over the years. In fact with last year’s Galaxy S4 and Note 3 we noticed the quality went down in a number of areas such as low-light situations and up-close macro shots when compared to the previous models, but it looks like Samsung is going to be using some new technology in the Galaxy S5 to make that all better. While there’s no telling if the camera will be 16 megapixels or 20, it’s pretty clear that Samsung is using a new type of sensor technology that receives light in new and better ways, and KGI’s speculation is that the new sensor will be PDAF, or Phase Detection Auto Focus. This is a different method of choosing what to focus on that’s normally used by Digital SLR cameras, and generally provides a much faster focus than the traditional CDAF, or Contrast Detection Auto Focus. Faster focus is always a big deal when it comes to cameras on phones, as shots usually taken with a phone are of a fast nature, and new ways of getting the light to the sensor and allowing it to focus quicker could be the ticket to getting less blurry pictures from your smartphone. 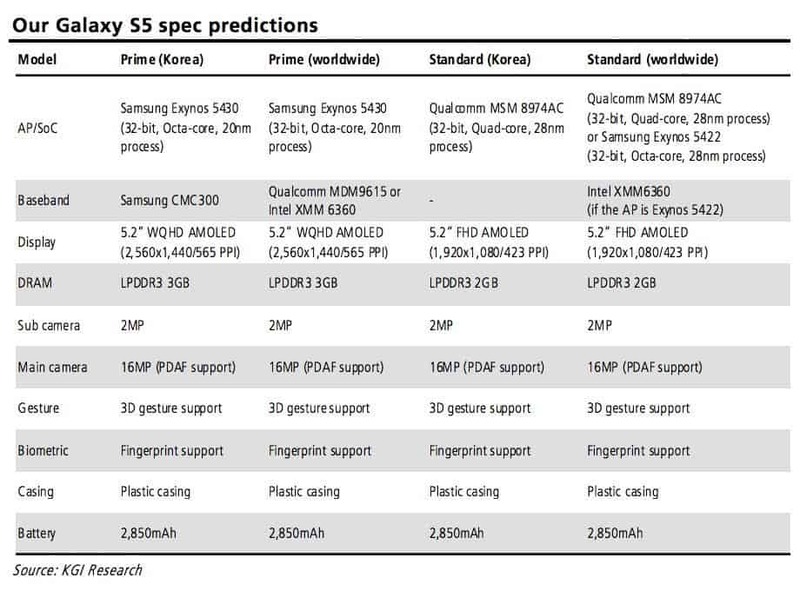 The post KGI Predicts Samsung Galaxy S5 Specs: Faster Focus Camera, Fingerprint Scanner Among Surprises appeared first on AndroidHeadlines.com |.